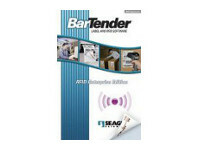 Provides the full range of BarTender’s most powerful features. Especially designed to allow automation control by other programs. Contains our complete set of external data access capabilities. Delivers – Includes our most powerful software integration tools, such as ActiveX Automation, Enterprise messaging and Seagull’s own Commander utility for cross-platform integration. Advanced data sourcing, including the industry’s only SAP-certified direct IDoc interface. 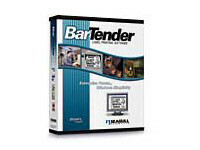 Intelligent network Install can set up a single copy of BarTender to run on unlimited workstations. Delivers – All of the label design and printing features of the Enterprise Edition and most of the advanced data access capabilities, including ODBC. Fully network compatible. Control by other programs limited to a simple “command line” interface. Delivers – The most important “core” label design features. Includes all text, graphics and linear bar code support. Supports simple, numeric serialization. Useful for keyboard-supplied label data only..